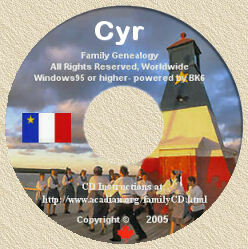 Acadian Genealogy Homepage; Louisiana's Mardi Gras! Although most people associate Mardi Gras with New Orleans, several community in the Cajun home land sponsors Mardi Gras celebrations. Literally meaning "Fat Tuesday" in French, Mardi Gras occurs annually on the day before Ash Wednesday, when Roman Catholics observe a time of sacrifice called Lent. Although a large, modern Mardi Gras celebration occurs in urban Lafayette, several rural, more traditional Mardi Gras celebrations occur in Mamou, Church Point, Basile, Lota, Kinder and Eunice. There, groups of Mardi Gras revelers ride on horse back thoughout the countryside, visiting houses and begging for ingredients to add to a large communal gumbo. Cajun musicians accompagny the revelers on their trek across the country side. This tradition is called La Course de Mardi Gras (or La Courir du Mardi Gras)--- "the Running of the Mardi Gras". For young Cajuns, the course serves as a rite of passage into adulthood; for older Cajuns, it promotes ritual bonding. The course's roots lie in the medieval fête de la quémande, a ritual begging festival. Remnants of this medieval tradition includes the wearing of pointed hats, miters, and mortar boards to mock the wealthy, the ordained, and the well-educated. Most costumes are home made and extremely colourful, and they allow individuals to poke fun at the usual socail order. Despite its disorderliness, the course is governed by rues enforced by the riders' leader, La Capitaine. For example, riders cannot enter private property without permission of Le Capitaine. In recent years, these rural Mardi Gras celebrations important tourist attractions (to the dismay of some cultural preservationists, who express concern that tourists will soon outnumber locals). Reproduced with permission of author Shane K. Bernard, from his "Cajuns and Their Acadian Ancestors" book. The terms "Mardi Gras" ( /'m?rdigr? ?/), "Mardi Gras season", and "Carnival season",in English, refer to events of the Carnival celebrations, beginning on or after Epiphany and culminating on the day before Ash Wednesday. Mardi gras is French for "Fat Tuesday" (in ethnic English tradition, Shrove Tuesday), referring to the practice of the last night of eating richer, fatty foods before the ritual fasting of the Lenten season, which begins on Ash Wednesday. Related popular practices are associated with celebrations before the fasting and religious obligations associated with the penitential season of Lent. Popular practices include wearing masks and costumes, overturning social conventions, dancing, sports competitions, parades, etc. Similar expressions to Mardi Gras appear in other European languages sharing the Christian tradition. In English, the day is called Shrove Tuesday, associated with the religious requirement for confession before Lent begins. While not observed nationally throughout the United States, a number of traditionally ethnic French cities and regions in the country have notable celebrations. Mardi Gras arrived in North America as a French Catholic tradition with the Le Moyne brothers, Pierre Le Moyne d'Iberville and Jean-Baptiste Le Moyne de Bienville, in the late 17th century, when King Louis XIV sent the pair to defend France's claim on the territory of Louisiane, which included what are now the U.S. states of Alabama, Mississippi, and Louisiana. The expedition, led by Iberville, entered the mouth of the Mississippi River on the evening of March 2, 1699, Lundi Gras. They did not yet know it was the river explored and claimed for France by René-Robert Cavelier, Sieur de La Salle in 1683. The party proceeded upstream to a place on the west bank about 60 miles downriver from where New Orleans is today, and made camp. This was on March 3, 1699, Mardi Gras, so in honor of this holiday, Iberville named the spot Point du Mardi Gras (French: "Mardi Gras Point") and called the nearby tributary Bayou Mardi Gras. Bienville went on to found the settlement of Mobile, Alabama in 1702 as the first capital of French Louisiana. In 1703 French settlers in Mobile began the Mardi Gras celebration tradition. By 1720, Biloxi had been made capital of Louisiana. The French customs had already accompanied colonists who settled there. In 1723, the capital of Louisiana was moved to New Orleans, founded in 1718. The tradition has expanded to the point that it became strongly associated with the city in popular perception, and embraced by residents of New Orleans beyond those of French or Catholic heritage. Mardi Gras celebrations are part of the basis of the slogan, Laissez les bons temps rouler, (Let the good times roll) and the nickname "Big Easy". Mobile, Alabama, the former capital of New France, also has a long tradition of celebrating Mardi Gras. Other cities along the Gulf Coast formerly occupied and owned by the French from Pensacola, Florida, and its suburbs to Lafayette, Louisiana, have active Mardi Gras celebrations. In the rural Acadiana area, many Cajuns celebrate with the Courir de Mardi Gras, a tradition that dates to medieval celebrations in France. In the last decade of the 20th century, the rise in producing commercial videotapes catering to voyeurs helped encourage a tradition of women baring breasts in exchange for beads and trinkets. This is practiced only in very small fragments of where Mardi Gras is celebrated, mostly by visitors rather than locals.